On what’ll be my last few walkabouts in Alameda, the wind kicked up and an ominous dark front of clouds approached the island. In anticipation of my departure for Portland, I’ve been eating down the fridge contents. With only a few eggs, mayo, and mustard, I headed over to my near-by Trader Joe’s to stock up on 36 hours worth of food. 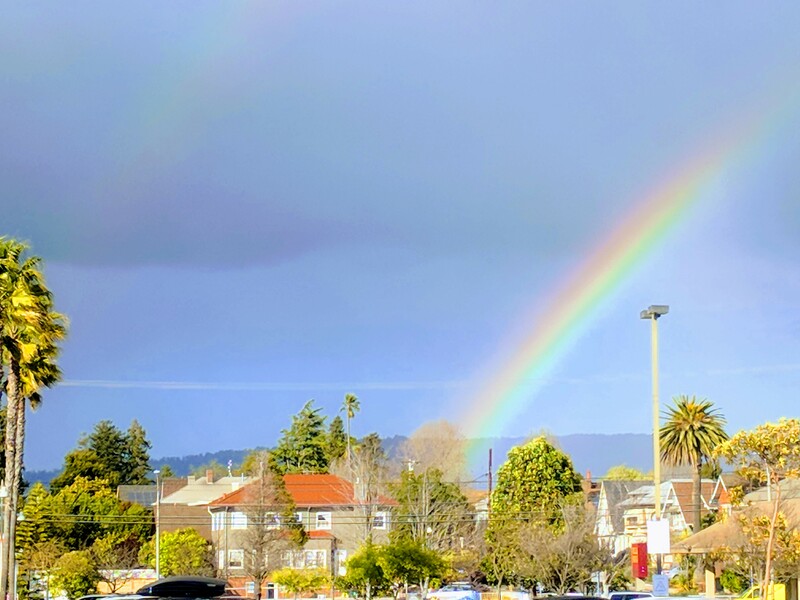 Leaving the store I was greeted by a double rainbow, a very bright double raindow, making a complete arc across the sky. I think it might be Alameda’s adieu.